Epson Youth Challenge 2018, organised by Epson Singapore and Geylang International Football Club (GIFC), witnessed an exciting finish at The Padang on Sunday, 29 July 2018, bringing the tournament to new heights with record numbers of participants. This year, over 1,400 participants from all over Singapore competed in the youth football tournament across nine categories. Epson Youth Challenge 2018 represents the second year that Epson Singapore is sponsoring this tournament. This reflects the tech giant’s committed partnership with both GIFC and SportSG, and its strong dedication to supporting the development of youth football, as well as the local football scene in Singapore. One of the highlights from Epson Youth Challenge includes Muhamad Irfan Bin Muhamad Ariff and Muhammad’ Izzan Nabil Bin Zalani – both in the Under-16 categories – who were hand-picked by judges Mr. Takeshi Yamazaki, Academy Director of Matsumoto Yamaga FC in Japan, Mr. Hirotaka Usui, Head Coach of Geylang International FC, and Mr. Lim Tong Hai, Team Lead, ActiveSG Football Academy, as the tournament’s most valuable players. Both Irfan and Izzan will receive a once-in-a-lifetime opportunity to take part in an overseas training stint with Matsumoto Yamaga FC in Japan later this year. The two most valuable players of the tournament were assessed and identified based on a variety of factors including performance, skills and techniques, dribbling and body movement, as well their ability to communicate with their team mates during the game and leadership skills. 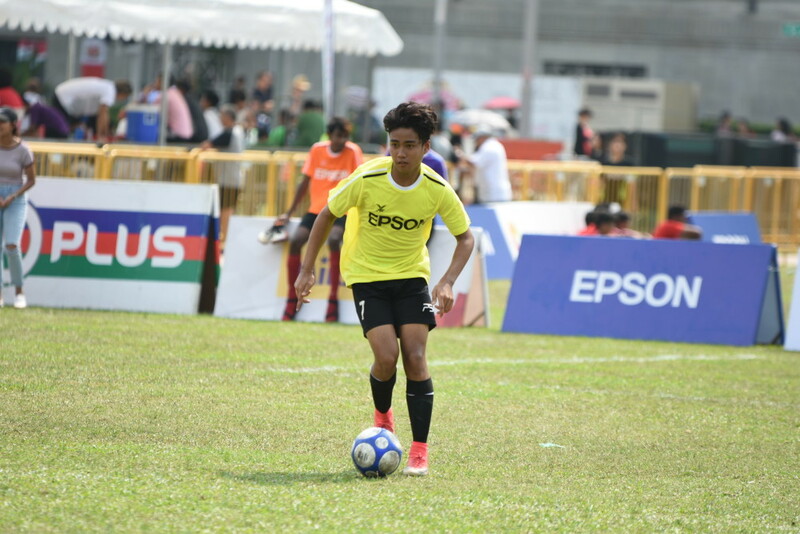 At Epson, sports is an integral part of our DNA and Epson Youth Challenge creates an opportunity for youths in Singapore to showcase their skills and talents, and potentially achieve their footballing dreams. Epson Youth Challenge 2018 is 5-a-side tournament with a total of nine categories. The top three teams in each category walked away with Epson products and other attractive prizes. The tournament is held in partnership with Geylang International FC, and in support of GetActive! Singapore and Singapore Football Festival.